I've finally reached 75 followers! In honor of this occasion, I'm hosting a giveaway. 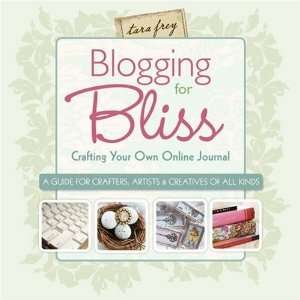 One lucky follower will win a copy of the book: Blogging for Bliss by Tara Frey. This fun book has stories of fellow bloggers from crafty, to vintage, to fashion. It's a great resource to new bloggers, and a fun read for more experienced. To enter to giveaway, submit a comment in response to this post. For two entries, tweet about the contest, write about it on your own blog, or also follow What's Up, Cupcake? on Facebook and let me know in your comment. You must be a follower on Google Friend Connect (the box on the right) for your entry to count. The contest will be open through Wednesday, May 11th and I'll announce the winner on Friday, May 13th. Thanks for following What's Up, Cupcake! I'm looking forward to more blogging adventures with you! I've never seen the book...looks interesting! Hey, would you please enter me in your contest too? I'd love that book. I'm a google follower, will join on facebook and also mention on my blog - don't know a thing about tweeting though. Please enter me. Thanks for hosting. Would love to enter. Now following your blog, tweeted and "Like"d your Facebook page. I've been meaning to get into blogging (I barely post once every six months). Maybe this book could give me some motivation!